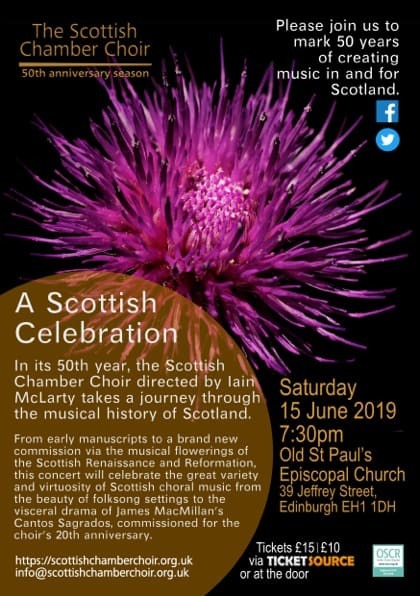 We hope you will join us for this celebration of 50 years of creating music in and for Scotland. 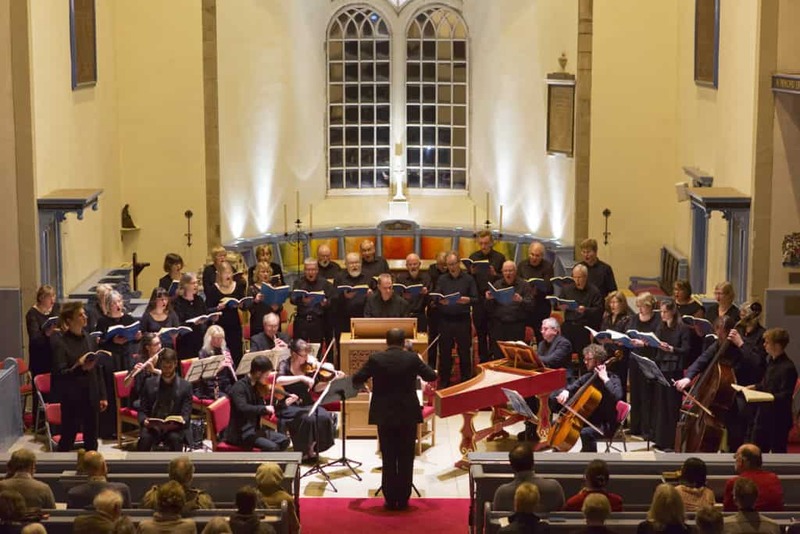 This atmospheric and historic venue will resonate to a concert of Scottish choral music through the ages. We will explore the national choral repertoire from early plainchant to a brand new commission and will dip into the choir library to include James MacMillan’s visceral Cantos Sagrados which was commissioned by the SCC in 1989 and now enjoys a prominent place in the international choral repertoire. © 2016 Scottish Chamber Choir. Registered Scottish Charity No SC013058.